Three years after his first Worlds appearance, the Taiwanese player is champion. 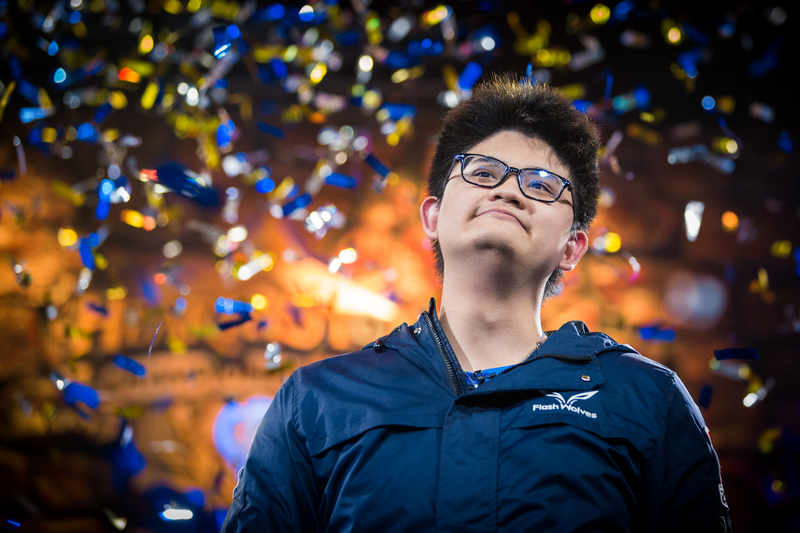 No player has had a longer journey to the Hearthstone World Championship title than Chen “Tom60229” Wei Lin. In 2014, at the first World Championship, he went out in the group stage without winning a match and only winning a single game. Three years on, he held the trophy aloft after conquering arguably the most talented field ever assembled on the international stage. Tom60229 was crowned Hearthstone‘s fourth world champion last night, defeating Frank “Fr0zen” Zhang in a thrilling five-game final. The first game set the tone for the final. Fr0zen was trying to get a win with his Big Mage, and found himself down to just one health. Tom had an effective life total of 41, but was out of cards on Jade Druid. But a clutch Arcane Artificer draw, a Flamestrike, and the Water Elemental from the Mage Hero card power helped Fr0zen clear the last board Tom could put up and claw back a win. Fr0zen then moved on to his Dragon Highlander Priest, and was able to withstand the pressure of Tom’s Tempo Rogue. That put Fr0zen one game win away from the title with just his own Jade Druid to go. But then Tom started the comeback. His own Priest deck was able to keep the Druid within reach and take the win, and a turn one 10/10 Edwin Van Cleef gave him a swift Rogue victory. That set up a climactic Jade Druid mirror, with Fr0zen playing the Violet Teacher build. Fr0zen got the first Malfurion the Pestilent, but double Ultimate Infestation early with Arcane Tyrants to back it up allowed Tom to win an unassailable board position. Tom60229 is the game’s fourth world champion, and the first from Asia. His win was part of an incredible performance from the Asia-Pacific region. Though they only had three players in the lineup Tom’s Taiwanese compatriot “SamuelTsao” reached the quarterfinals while Korea’s Kim “Surrender” Jung-soo finished in the top four. Jason Zhou of China also repeated his top four finish from the 2016 World Championship, the first player to ever record multiple finishes beyond the group stage.